Ouran High School Host Club is a manga I've been collecting and ever since I've found out an anime is starting this April I've been going CRAZY! I screencapped this picture from the Official Site, enlarged it and vectored it. And for those of you who don't know.... Haruhi, the brunette, is actually a girl - despite wearing a boy's uniform. but I gotta say that the eyes for the boy with the brown eyes just looks down right creepy.. THE ANIME IS GETTING RELEASED!? Awesome! Arigato Gozaimasu! Add 2my fav. Awww~~ so sweet! ^^ Another great vector~ luv Haruhi's eyes very much. Wow~~this scan is so lovely. 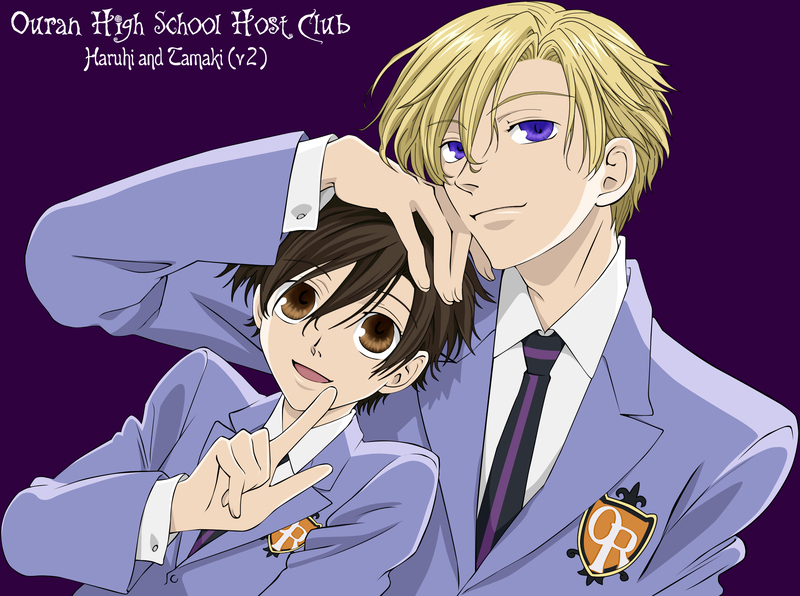 I love Tamaki and Haruhi.